When the Atlas Roofing Corporation promoted their Chalet shingles originally, they claimed that the shingles would give customers “peace of mind at an affordable price.” Customers who bought the Chalet shingles were told that they were algae-resistant and that they could withstand winds up to 80 mph. However, it seems that the product has not met these expectations in the real world. Consumers have reported that the shingles crack and blister, even as recently as one year after installation. This degradation can lead to pieces of the shingles breaking away from the rest. Customers who invested in these shingles were forced to put in extra time, manpower and money in order to repair their deteriorating roofs. Rather than getting the “peace of mind” which was promised, consumers found that buying Atlas Chalet shingles only resulted in a more expensive and far more stressful roofing process. As a result of the problems noted above, the Atlas Chalet shingles are now a discontinued product. Even though the shingles came with a 30 year warranty, many customers have complained about Atlas’ customer service when trying to resolve their problems with these shingles. This means that many customers who thought they invested in a great roofing product now have to completely pay for a new roofing solution without getting money back from the defective solution. Let this be a valuable lesson to anyone buying new roofing shingles. Just because a company has a good warranty, doesn’t mean that the product or the customer service will actually be of high quality. Because manufacturers often use the warranty as a marketing and sales tactic, it’s important to consider a manufacturer’s reputation and specific warranty terms before choosing to buy your roofing shingles from them. You might be surprised to find that many companies try to avoid abiding by their warranties and will try to find ways to wiggle out of having to pay (by claiming the installation is to blame, rather than the shingles, for example). When handling the problems with the Chalet shingles, Atlas tried to deny that the blistering is a defective aspect of the shingles and has instead tried to claim that the blistering is intentional and was implemented for aesthetic reasons. The unhappy customers who have witnessed the damage to their roofs don’t agree with that, however. Within a year of their installation, the shingles were starting to blister badly. They would crack far before it’s acceptable for a shingle to crack and big pieces would completely dislodge from the rest of the shingles. It seems that part of the problem was cost-cutting during the lamination process, causing the shingles to not be able to effectively hold together in the elements. Currently, two separate law firms are conducting a class action law suit against Atlas on behalf of customers who bought the shingles. For a while, Atlas was willing to reimburse for materials and labor, but now it’s very hard to get compensation unless there is evidence of storm damage (in which case you can get compensation from your insurance company). Generally, when the insurance representatives come out to inspect a storm damage claim, they are looking for evidence of hail and wind damage. They are usually willing to pay for the replacement of the broken shingles if they find that the damage was due to these factors. However, you’re still usually responsible for funding the repairs as the insurance company will just just pay for the shingles, themselves. In most situations, they will have to see evidence of damage on all sides of a roof in order to warrant a full roof replacement. That’s not the case with the Atlas Chalet shingles, though. A whole new roof could be warranted if they find just one damaged shingle. Because Chalet shingles aren’t available anymore, they can’t just get a replacement shingle to match, so the whole roof has to be replaced in order for it to look consistent. Now, not all insurance agencies will do the right thing and do a full roof replacement, but the ones that will should be able to compensate you with a new roof using shingles which are actually the result of quality construction, rather than defective materials. 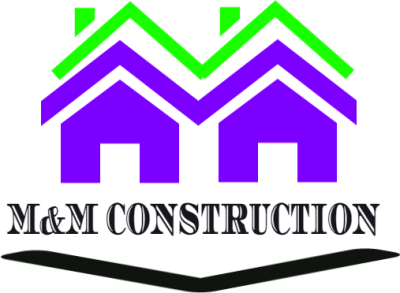 You should give M&M Construction a call. We are the experts on Atlas Chalet shingle claims. DON’T TRY TO FILE THE CLAIM ON YOUR OWN. That would be like going to court without legal representation. Because we are your expert local roofing contractors, let us help you file your claim the way a lawyer would help you win a court case. With our experience on your side, your chance of receiving an entirely new roof from your insurance company is greatly increased.